Email appending enables you to reach more of your current customers by email, and the benefits are manifold. MANHATTAN, N.Y. - May 4, 2017 - PRLog -- For organizations unaware of the value of email appending, adding missing email addresses to your existing customer records is a fast, easy way to boost sales and reduce costs. On the flip side, sitting on records with gaps and holes could be costing you customers, leads, and revenues. Email appending enables you to reach more of your current customers by email, and the benefits are manifold. How does it work? Email appending is simple and virtually risk-free. You send the names and postal addresses of your customers to Zenith Square and we add missing email addresses and return the enhanced list to you. We ­find the missing email addresses by matching your customer list against our in-house database of more than 500 million unique names, postal addresses, and opt-in email addresses. Each customer is contacted to obtain permission and to verify the email address. The results of email appending can be dramatic. Customers have increased the size of their email lists by 20% on average, and the results can be as high as 40%. Some customers have increased their number of email addresses from 69% to 98%. The revenue gains and cost reductions from growing the size of your email list can be just as dramatic. By using email append, customers have increased their monthly revenues by $35,000 to $40,000 and generated more than 850 new business leads. Other customers have saved $100,000 in direct mail costs and reduced postal mail by one-half. These benefits were garnered by email append alone. Now imagine the compounded benefits of adding postal append, phone append, demographics append, real-time data services, and more to the mix. Email append and other list services are a potent source of revenues, leads, and customers you could be accruing today but may be leaving on the table. Don't let the success of your marketing be limited by the size of your customer email list. If you haven't considered email enhancement in the past, it's time to take a look. 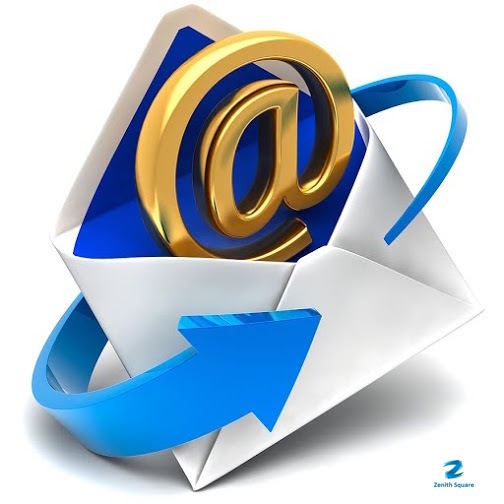 Our Email Appending for Email Marketing is a high-quality procedure, avail it now! Contact Zenith Square Now! This entry was posted in Blogs (http://www.zenithsquare.com/http:/www.zenithsquare.com/ca...), Email Appending (http://www.zenithsquare.com/http:/www.zenithsquare.com/category/email-appending/), Email Marketing (http://www.zenithsquare.com/http:/www.zenithsquare.com/category/email-marketing/) and tagged best email append service (http://www.zenithsquare.com/tag/best-email-append-service/), email append service (http://www.zenithsquare.com/tag/email-append-service/), Email Appending (http://www.zenithsquare.com/tag/email-appending/), Email Appending Services (http://www.zenithsquare.com/tag/email-appending-services/), Email Appending Solutions (http://www.zenithsquare.com/tag/email-appending-solutions/), Email Marketing (http://www.zenithsquare.com/tag/email-marketing/), Email Marketing Services (http://www.zenithsquare.com/tag/email-marketing-services/), Email Marketing Solutions (http://www.zenithsquare.com/tag/email-marketing-solutions/), reverse email append (http://www.zenithsquare.com/tag/reverse-email-append/).